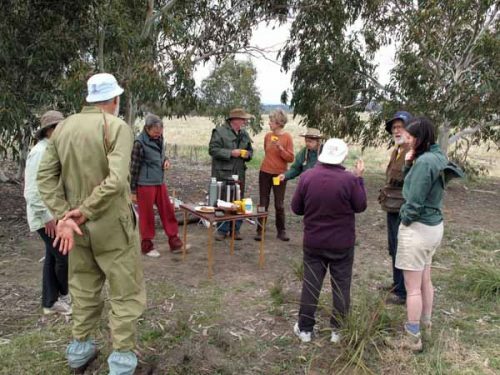 The Friends of Aranda Bushland (FoAB) is a park care group interested in conserving and promoting their natural bushland environment, and adjoining bushland areas. 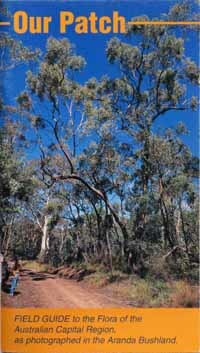 The Aranda Bushland is a 100 ha reserve of eucalypt forest and woodland on the southern slopes of Aranda Hill, the north side being the suburb Aranda. 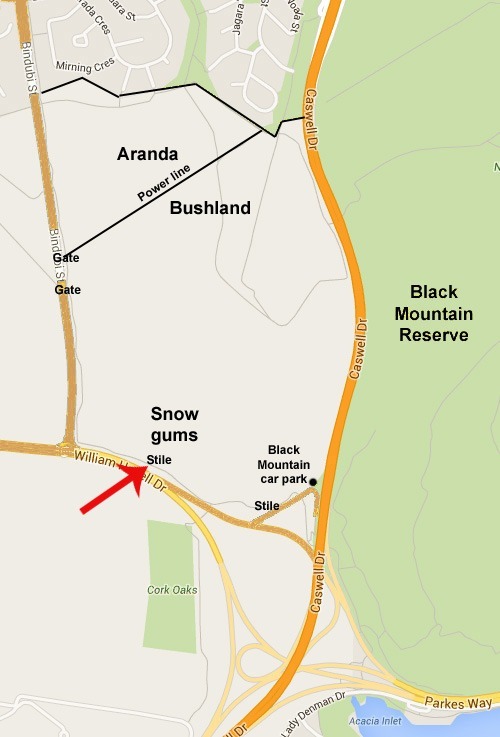 It adjoins Black Mountain Reserve to the east and The Pinnacle Nature Reserve to the west, and forms part of Canberra Nature Park, a network of urban open space reserves throughout the national capital. 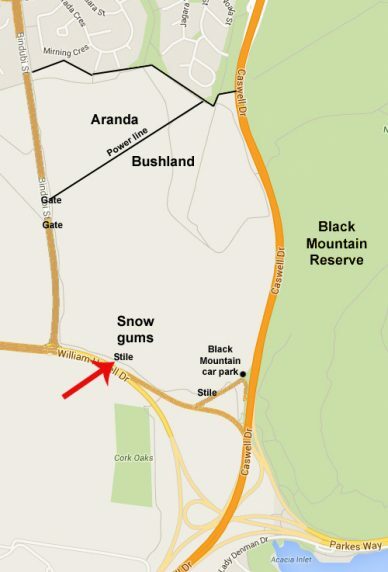 You can view and download a detailed map and a brochure of the Aranda Bushland. 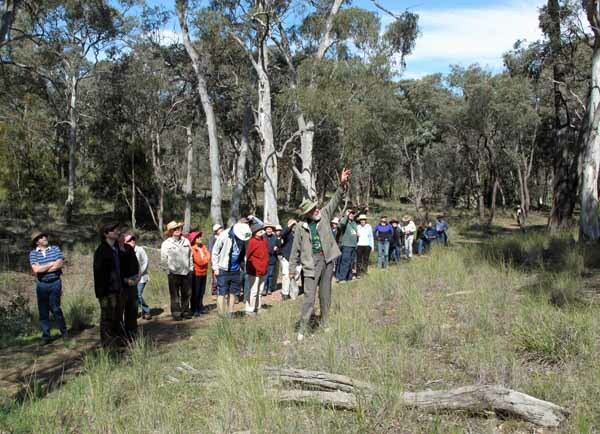 We have been active in the conservation of the Aranda Snow Gums Heritage Site, a frost-hollow below the Aranda Bushland, adjacent to William Hovell Drive, the only surviving Snow Gum patch within the city of Canberra. Snowgums lost through accidental spray drift from spraying briars have been replaced with seedlings grown from local seed by local schools. FoAB members also undertake regular erosion control, weed control and monitoring activities. Membership of the Friends of Aranda Bushland is free and open to anyone interested in conservation of our local bushland. Our constitution can be read here. For a summary of our activities for each year since 2005, please go to Annual Reports. 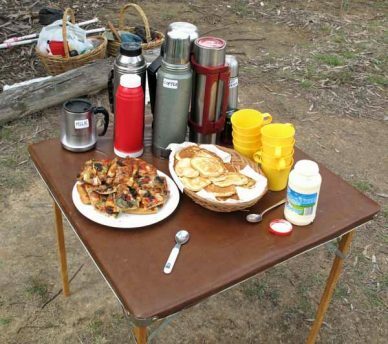 On the first Sunday of every month we have a work party, either in the Snow Gums or in the Aranda bushland. Activities vary according to the time of year. In spring and summer our energies are concentrated on weeding – St John’s Wort, Paterson’s Curse, wild mustard, African Capeweed and others need to be controlled so that the native grassland species have the space to grow. In autumn we switch to planting of native grasses and similar low-growing species. Winter is the time for repairing the walking tracks and controlling erosion in the gully. Task: Watering, weeding (including the Fat Hen infestation), starting on the new kangaroo exclosure, and checking the route of the new walk. Our delicious morning tea will be served at 10 am. Meet: 8:30 am at the “Environmental Work in Progress” sign on William Hovell Drive eastbound, as indicated by the arrow on the map. Wear/Bring: Wear strong shoes and bring water, a hat and gloves. Tools will be available, but bring your own if you like. For more information: Contact Jim on 6251 5425. Friends of Aranda Bushland Field Guide to the Flora of the Australian Capital Region as photographed in the Aranda Bushland (2nd ed, 2007). The guide contains 179 plant species, 302 colour photos, two maps and an index. It was put together by FoAB members with the help of the Botanical Gardens Herbarium staff and a grant from the Federal government. It’s a perfect size for carrying in pockets and backpacks, and provides an easy-to-use- aid to identifying the flora of the Aranda Bushland. Our Patch is available from FoAB, but can also be obtained at the Botanical Bookshop, the Uni Co-op Bookshop and the Yarralumla Nursery. We thank BluePackets for their generosity in hosting this web site.